When your tile and grout becomes dingy and unsightly over time, a simple mopping will not do the trick. Your tile may be sanitized, but your grout is porous, which allows it to soak up all the dirty water you have been mopping your floor with. To get a truly refreshed look for both your tile and grout, Desert Tile & Grout care offers the highest quality grout and tile restoration services in Gilbert. Transform that unsightly, old, and dingy looking tile and grout into the beautiful and clean centerpiece of your home. Renewing the look of your tile and grout is easy and effective with Desert Tile & Grout Care! Keeping your tile and grout clean and looking new all the time isn’t as easy as it seems. You use the floor every single day. You walk across it, tracking who knows what around, and it soon begins to show in the state of your tile and grout. Although it is the most durable and cost effective flooring you can get, maintaining it and making sure that it stays fresh and clean should be a priority so that it lasts for years to come. 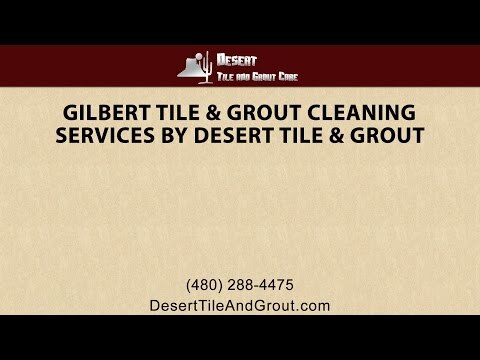 With tile and grout care services in Gilbert, Desert Tile & Grout Care is dedicated to providing the highest quality tile and grout cleaning and restoration services to transform your tile and grout. Many homes and businesses in Gilbert Arizona utilize southwestern architecture and décor. The southwestern style takes its cue from a combination of American pioneer, Native American, and Mexican styles. It often includes adobe or stucco and tile. While Gilbert Arizona ceramic tile floors can be a classic or contemporary style, it is also used in southwestern decorating. Ceramic tile is available in a multitude of colors and sizes and can be used to create mosaics or Native American inspired shapes anywhere you like. Try a background of earth tones with vibrant sunset colored details. Here in the Valley of the Sun, some of our sidewalks and roadsides are even decorated with tiles and mosaics. 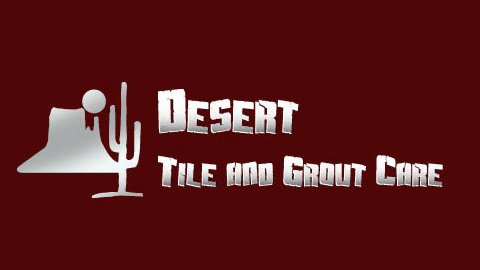 At Desert Tile & Grout Care, we provide the highest quality tile and grout restoration services. With five star customer reviews on Yelp, Google, and the Better Business Bureau, you know that you are getting the best possible tile and grout restoration services. Trusting someone to renew your tile and grout can be frightening, but the experts at Desert Tile & Grout Care have got you covered. Check out the excellent five star customer reviews to see how satisfied our clients have been with our professional and detailed tile and grout restoration services! Southwestern decorating often incorporates natural materials such as wood and stone. There are many kinds of stone tiles to choose from, and each kind has different properties that make it suitable for different uses. Slate is quickly becoming a favorite in rustic décor. It has a rough appearance and is fairly resistant to water, which makes it suitable for use in kitchens, bathrooms, entryways, or outdoor areas. The surface of slate is covered with ridges and clefts, which makes it perfect to prevent slipping in wet areas. In addition, slate is often less costly than some other types of stone flooring. One of the most rustic southwestern elements of design commonly used is beautiful Mexican Saltillo tiles, which originated in Saltillo, Mexico. These are a terra cotta tile made from clay and most often produced in Mexico. Since each tile is individually handmade and fired, no two tiles are alike. The slight variance in size, color and flatness gives the distinctive look. Some Saltillo tiles even contain animal tracks made while they were drying. Terra cotta tile is particularly porous by nature, allowing dirt and liquid to stain it easily if it’s not properly sealed. Mexican Talavera tiles are also handmade. They are earthenware, but they are generally glazed then often hand painted with designs in bright colors. They make for a beautiful backsplash, countertop, or accent wall.Try using some wooden furniture with metal accessories, and add woven rugs and Native-American inspired blankets to help complete the southwestern look. Ceramic and stone tile are some of the most durable types of tile, but as years go by they can begin to look dull and drab due to ground in dirt that isn’t easily removed. Our Gilbert tile cleaning service can remove embedded dirt and stains and our professional tile restoration service can enhance and seal your stone floor. Usually it is the grout that looks the worst. It is highly porous and quickly absorbs spills and dirt. If used in a Gilbert AZ kitchen or bath it can collect mildew and mold. Our grout cleaning service in Gilbert will remove mold and stains and then color seal the grout to make it impervious to stains. Dessert Tile and Grout has been a family business for over 14 years. We are a member of the Better Business Bureau and are also bonded and insured. We have the experience to care for all of your tile cleaning, restoration, and maintenance needs. Lately Gilbert has been receiving a good deal of media attention for its excellent schools, friendly atmosphere, and amazing expansion. Gilbert has been named one of the fastest growing towns in the country, yet in 2009, Gilbert was also named the safest municipality in Arizona. Additionally, Business Week named Gilbert one of the best places to raise a family. Gilbert has much to offer a family, from unique dining and shopping in the Heritage District or SanTan Village to playing your favorite sport at Big League Dreams. Gilbert continues to be known for its small town feel but also has big city appeal.